Offer valid until midnight Friday 31st August 2018. 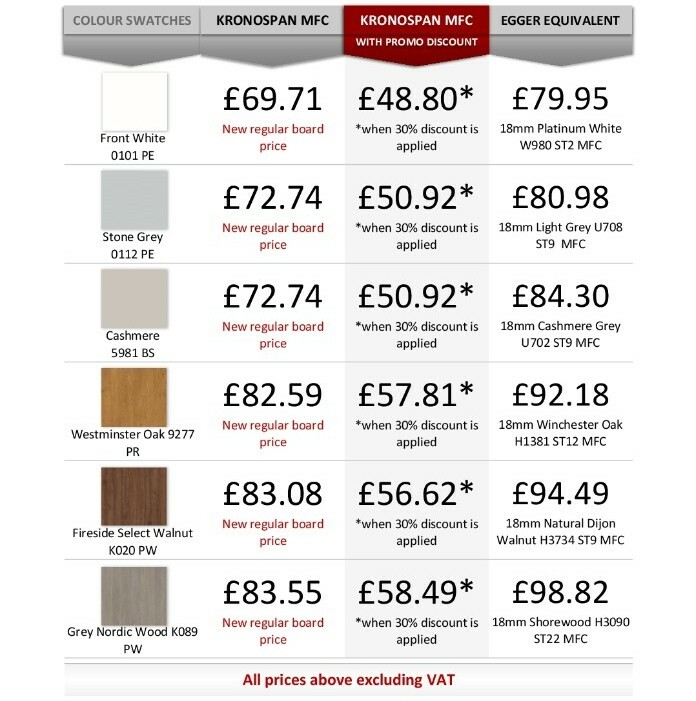 Guidelines: Email sales@cutwrights.com with the code ‘SUMMER SPECIAL’ and your order number if you have 5 or more Kronospan Melamine Faced Chipboard Boards (MDF core not applicable) on your quotation to get 30% discount off the price of those boards. If you have 50m or more of matching edging on your quotation you will be eligible 30% off edging. 30% off discount excludes delivery charge and VAT. Any existing discounts will be subsumed within the Promotional Discount so not more than 30% off will be granted on an order.